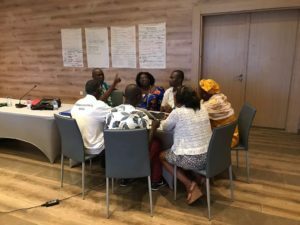 This past month, June 2017, ITPC and country partners gathered for three trainings as part of the Regional Community Treatment Observatory in West Africa (RCTO-WA), supported by the Global Fund. 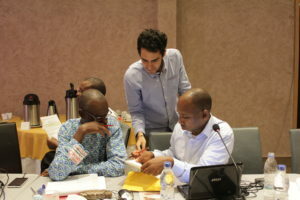 The three separate trainings – on governance, finance, and monitoring & evaluation – aimed to further build capacity among the RCTO-WA implementation teams in-country, and provided a forum by which all partners could share lessons learned and best practices. 30 May – 1 June 2017 | Having carried out initial capacity assessments, the three-day ITPC-led training on governance sought to review and strengthen the capacity of the board members of ITPC West Africa and the sub-recipient organizations to enable them to adequately oversee the roll-out of this project. 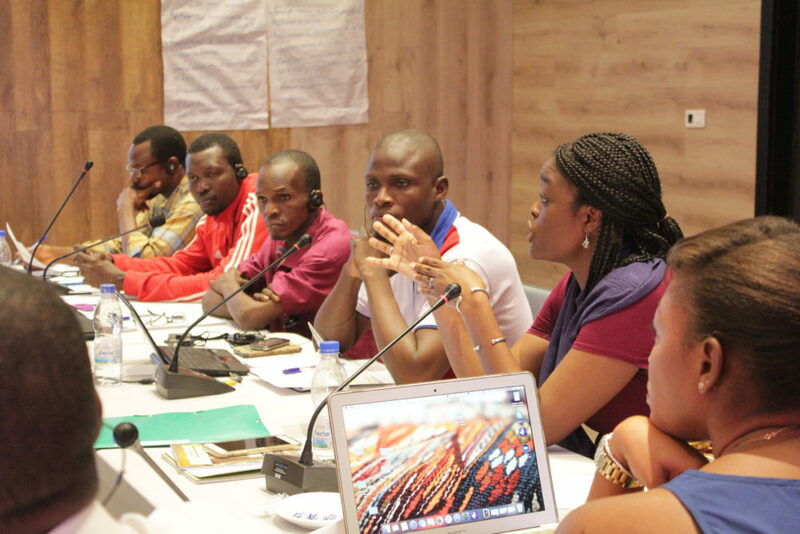 By the end of the training, representatives of the sub-recipient organizations and ITPC West Africa board had outlined plans to revise existing structures and operations to adopt good governance practices. 30 May – 1 June 2017 | Carried out in parallel to the training on governance, ITPC also led a three-day finance training focused on financial management concepts and reporting requirements – critical components to the operation and implementation of programmatic activities. Following these trainings, the RCTO-WA implementation teams in-country will begin data collection. The RCTO-WA will develop 11 national and one regional Community Treatment Observatories. The Observatories will empower networks of people living with HIV to systematically collect and analyze qualitative and quantitative data on barriers to accessing HIV treatment. The goal over the next three years is to increase access to treatment in the 11 West African countries, which are: Benin, Côte d’Ivoire, Gambia, Ghana, Guinea, Guinea-Bissau, Liberia, Mali, Senegal, Sierra Leone, and Togo. Learn more about the RCTO-WA here !